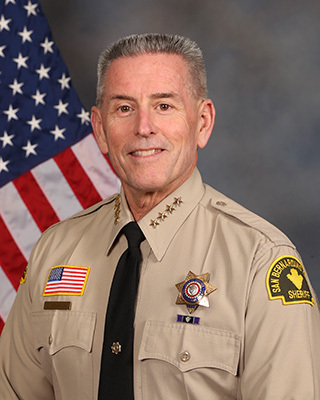 The Sheriff's Department processes, serves and enforces the orders of the Superior Court of California for the civil, family law, and probate divisions. A judgment is the final step in a court case. A valid judgment resolves all the contested issues and terminates the lawsuit, since it is regarded as the court's official pronouncement of the law on the action that was pending before it. It states who prevailed in a case and what remedies the winner is awarded. Remedies may include money damages, injunctive relief, or both. A judgment also signifies the end of the court's jurisdiction in the case. The Federal Rules of Civil Procedure and most state rules of civil procedure allow appeals only from final judgments. Original Writ of Execution or document(s) to be served. Original Letter of Instructions signed and dated by the plaintiff/attorney. Earnings Withholding Orders (EWO) requires the original application (Forms WG-001 and WG-035 if applicable). Once plaintiff receives a Writ of Possession for Real Property, the plaintiff must file it with the Sheriff along with proper fees and written instructions to proceed with the lockout. The Sheriff will enforce the order after proper notice is given. Processing fee $145.00. Instructions form CIV-002. Cancellation before posting $35.00; cancellation after posting $110.00. An Earnings Withholding Order is a wage garnishment that continually seizes a percentage of a debtor's earnings until the judgment is satisfied or terminated by the Plaintiff or the Court.Processing fee $35.00. Original application (Judicial Forms WG-001 and WG-035 if applicable). A Bank Levy is when the Garnishee takes the money from a debtor’s bank account to satisfy a judgment. This is a one-time seizure of monies in the debtor's account at the time the bank is served. This levy is not reoccurring. Processing fee $40.00 (Per bank service). Instructions form CIV-004. Purpose of process is to seize and sell the judgment debtor's vehicle/boat to satisfy a money judgment. Processing fee $1500.00. Instructions form CIV-005. The method of enforcing a Third Party Levy under a Writ of Execution is directing the garnishee or third person who has possession or is in control of the debtor's personal property to deliver the personal property belonging to the debtor to the Sheriff towards satisfying a money judgment. Processing fee $100.00. Instructions form CIV-004. If the debtor owns or is in a business that has a “Cash Till” on the premises, you may instruct the Sheriff to execute a Till Tap Levy. Money in the till is removed by the Sheriff and paid to the plaintiff. A receipt will be given to the debtor by the Sheriff. Processing fee $100.00. Instructions form CIV-006. A plaintiff, after receiving a judgment against a debtor who owns a business, may instruct the Sheriff to install a Sheriff’s keeper into the business. The keeper will take control of the business and collect all cash or checks made out to the business. Processing fees $240.00 (8 hours shift); $400.00 (12 hours shift); $700.00 (24 hours shift); $1,340.00 (48 hours shift). Instructions form CIV-006. 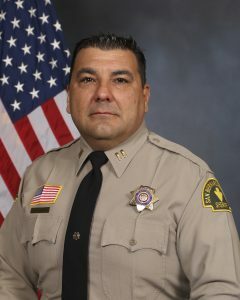 A Sheriff's Sale is conducted by a Sheriff upon Order of the Court after a failure to pay a judgment. Processing fee $1,500.00 (Levy and Sale). Personal property, instructions form CIV-005; Real property, instructions form CIV-007. An elder or dependent adult abuse restraining order is a court order for a person 65 years of age or older, or between 18 and 64 years of age if they have certain mental or physical disabilities that keep them from being able to participate in normal activities or protect themselves. The order is for a person that is a victim of physical or financial abuse, neglect or abandonment, treatment that has physically or mentally hurt them or deprivation by a caregiver of basic things or services they need so the person will not suffer physically mentally or emotionally. Processing fee: None. Instructions form CIV-001. Harassment restraining orders are sought by those individuals who are victims of harassment in order to prevent further harassment. The parent or guardian of a minor who is being harassed may request a harassment restraining order on behalf of the minor. The harassment restraining order is filed by a petitioner against the harasser who becomes the respondent. Processing fee: $40.00. Instructions form CIV-001. Under California law, courts can make orders to protect an employee from suffering unlawful violence or credible threats of violence at the workplace. The court can order a person to: Not harass or threaten the employee; not contact or go near the employee; and not have a gun. A workplace violence restraining order must be requested by an employer on behalf of an employee who needs protection. The court order can last up to 3 years. The order can also protect certain family or household members of the employee and other employees at the employee’s workplace or other workplaces of the employer. These orders will be enforced by law enforcement agencies. Summons: A written notification to a party named in a lawsuit directing the party to appear and defend or answer before the issuing court prior to a specified time. Complaint: The original or initial pleading by which an action in court begins. Processing fee $40.00. Instructions form CIV-003. Petition: A formal written application to a court requesting judicial action on a domestic matter. A legal proceeding used by the landlord to end the tenancy without the consent of the tenant and gain possession of the property in question in an accelerated manner. Once the complaint is filed, an issuance of the summons is drawn up and the service of the complaint and summons are delivered to the defendant. A notice issued to a defendant and his/her guardian that a hearing is being held to determine the level of competence of the defendant and the appointment of a guardian. “Guardianship of the Person,” is the legal term for having legal responsibility for a child who is not biologically related. Legal custody means making decisions for the child, which affects the care and supervision of the child. “Ward” is the minor or child. “Petitioner” is the person requesting the hearing. A Request for Order mandates that an individual make a court appearance to explain why the court should not take a proposed action. A court issues this type of order upon the application of a party requesting specific relief and providing the court with an affidavit or declaration (a sworn or affirmed statement alleging certain facts). A Request for Order is generally used in contempt actions, cases involving injunctive relief, and situations where time is of the essence. A person who brings a civil action against a defendant in a court of law. Defendant’s Claim is a counterclaim in opposition to a previous claim made by the respondent. A Notice of Hearing is a prepared legal document that invokes all parties to hear a motion and may be sent out by any party. Most notably the notice contains a time and date for the defendant to be heard before the court enters a judgment. A notification that is formal in nature, which is issued to one or more parties by the individual or company that has filed a motion before a court. The hearing will take place on the date stated on the notice. A declaration is the plaintiff's statement of a claim against the defendant, formally and specifically setting out the facts and circumstances that make up the case. Written notice to a tenant that initiates the eviction process. This gives the tenant the option of paying the rent and staying or vacating the property before filing an Unlawful Detainer Lawsuit. Criminal Subpoena is a command to appear at a certain time and place to give testimony upon a certain matter. Processing fee: None. Instructions form CIV-003. The process by which a witness is required to appear and testify in court or before some other tribunal or body. Subpoena Duces Tecum is an order directed to an individual commanding him/her to appear in court on a certain day to testify or produce documents in a pending lawsuit. A Civil Bench Warrant is issued for failure to comply with a court order in a civil case, such as an order to appear in court. Processing fee $50.00. Instructions form CIV-003.